At Azamara Club Cruises®, we’re big fans of Destination Immersion®, in-depth travel experiences that connect you to the heart of local culture. With AzAmazing Evenings℠, we take that concept a step further. Each private, bespoke AzAmazing Evenings event delivers authentic travel moments that bring you closer to your destination, its culture and its people. Best of all, one is included with our compliments on all cruises except transatlantic crossings and voyages that are less than seven nights long. 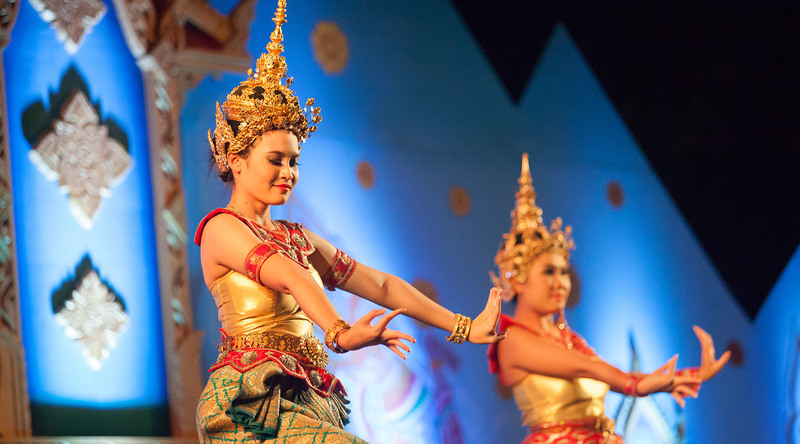 Soak up traditional and contemporary culture with Azamazing Evenings. These exclusive nights filled with music, dance, and more unfold in settings unique to each destination. Most cruise lines only offer shore excursions during sun-splashed daylight hours, as though the world’s most exciting destinations tuck themselves in for the night after sundown. Well, Azamara isn’t most cruise lines. All AzAmazing Evenings event dates, ports, venues, and programs are subject to change without notice. Reservations: Reservations are required for your AzAmazing Evenings event. After booking your voyage, please visit AzamaraClubCruises.com/AzAmazingEvenings to select the event for your voyage, then follow the instructions to reserve your place. If you do not pre-book the AzAmazing Evenings event online but decide to participate once onboard, you may sign up until the morning of the event, space permitting. To be sure there is room for you, we encourage you to reserve before boarding. Cancellations: Because Azamara Club Cruises incurs costs for each participating guest, we ask that you let us know by no later than 10:00 PM the previous day if you decide not to attend. Confirmed guests who do not cancel by this deadline and do not show up will be assessed a cancellation fee of $100 per person. Onboard Credits (OBCs) cannot be used to pay for cancellation fees. Please remember you have up to two days prior to your sail date to purchase your Azamara Club Cruises® shore excursions online. If you are within the two days, you will then need to purchase your shore excursions on board. *Prices are representative, subject to change and availability and vary by sailing. Tours, tour dates, and times are subject to change and availability. A cruise booking number and at least one deposit payment is required to purchase a tour. Tours may be purchased online or by calling us up to two days prior to the cruise departure date. After that time, tours must be booked onboard. The providers of the tours are independent local contractors and are not acting as agents of representatives or Azamara Club Cruises. In no event shall Azamara be liable for any accident or harm to passenger, which occurs as a result of any acts, omissions, or negligence of any independent contractors.